Today's outfit is simply about mixing textures - the weave of the loose-knit sweater, the patchiness of the acid washed shorts and the silkiness of the sleeveless little top. Love the mixing of textures and those shorts are super funky too! Great look Jo! I'm loving this cool, casual look. 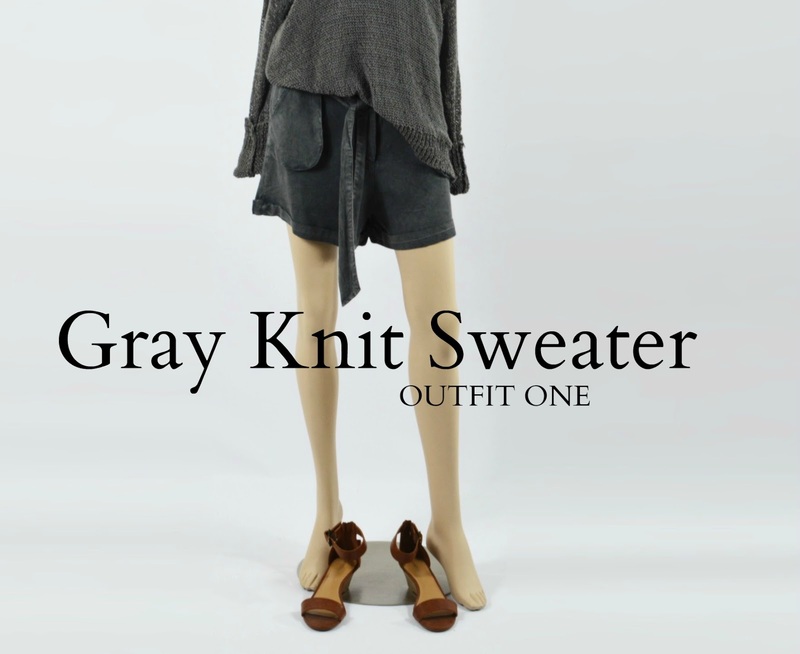 Gray is one of my favorite colors and I gravitate towards it all the time! Thanks for posting some inspiration for it!